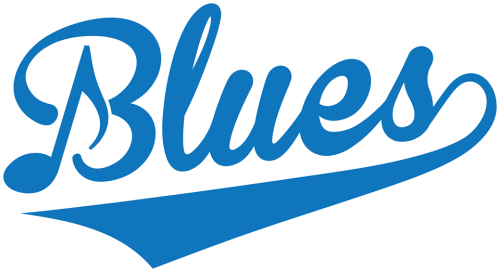 Less than 24 hours after the Bristol Blues were handed their 3rd loss of the season against the Martha's Vineyard Sharks they were held scoreless tonight versus the Bravehearts. The Blues lost 7-0 while the starter Michael Genaro surrendered 9 hits-5 runs over a 5 inning clip. The first two innings for the Bravehearts they scored one run in the first (Coffel RBI single) and three more runs in bottom of the 2nd. In that bottom of the 2nd you had Joseph Pesce start the 3 run giddy up with a single. Alex Gionis then rips a double to advance Pesce to third. Genaro throws a wild pitch mid count against Mariano Ricciardi (scoring Pesce), and a error by De Los Santos and some timely hitting by the Bravehearts pushed the lead to 4-0. That's all they would need, as the Blues didn't bring their bats to Worcester. Bristol would only manage 5 hits (2 from Jeremy Sagun) while committing 3 more errors. That puts the blues at 4 consecutive games of committing at least one error. What is odd is that Bristol came into this week having the best fielding percentage in the FCBL at a .987% Clip. After a tough three game home stand going 1-2 while committing 8 errors in that stretch. In all, Bristol has 11 errors during their tough 4 game streak of inconsistent baseball. It didn't help that Bristol struck out 13 times tonight, which doesn't leave you many outs to play with when you're given 27 per game. With an FCBL season as long as it is, these are the kind of test that will test the fortitude of a team. For the Blues to get back to winning baseball it's simple, but then again easier said than done. Get back to the basics. Guys who wear the Blues uniforms were selected for a reason, and both sides are feeling the pressure of trying to expand one's ability to play this game. If the Blues can believe in themselves, but therefore each other, only then can Bristol regain the magic they played with earlier. What's the saying in baseball? You're only as good as your next day's pitcher? Tomorrow's probable for the Blues (yet to be announced) at 7:00pm against the Brockton Rox at Campanelli Stadium will determine that kind of momentum.